The memorial in 2014 with Mauriceville School behind. 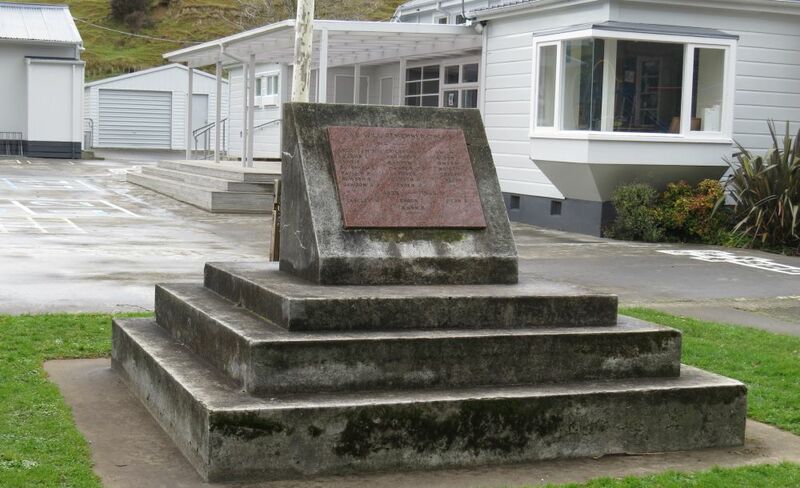 One of several country district memorials in the Wairarapa, Mauriceville War Memorial was unveiled on 30 September 1928. The memorial was built of local limestone and installed at Mauriceville East School, with 20 names inscribed on marble plates. About 1939 the memorial was removed to allow improvements in the school’s play area and it was not until Anzac Day, 1955 that the current memorial, a red granite plaque with four World War Two names added, was put in place in front of Mauriceville School.